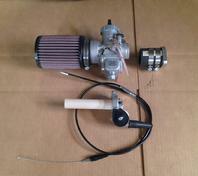 Carb Kit #3 for bikes with stock tank and battery box. 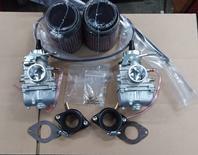 Jetting for your XS650, let me know what options you have. 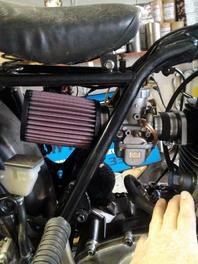 $390.00 or $450.00 with K&N 0600 filters or 0610 filters your choise. 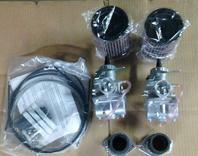 2-vm 34mm(L&R), aluminum intakes, Air filter and Throttle cable kit . 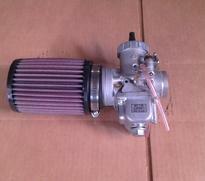 Extra jetting ..This has the K&N filters with custom aluminum intakes. 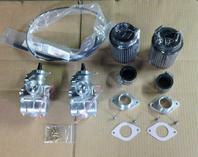 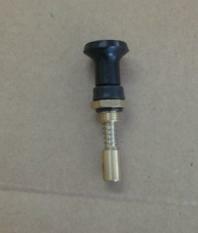 34104 Carb kit #3, for stock bike, best kit for those with stock tank, battery box. 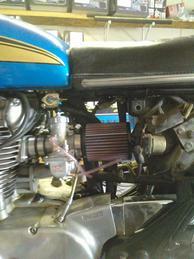 Shorter for fitment wth stock battery box.